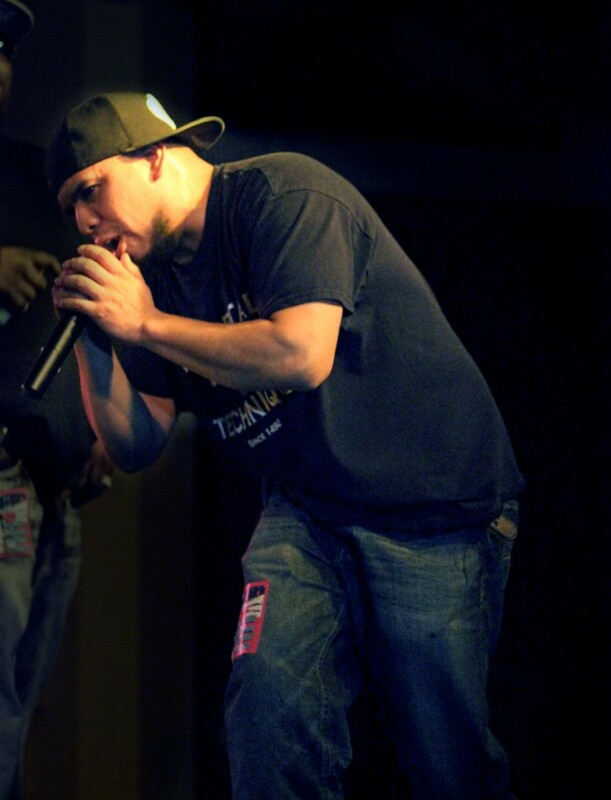 The famed underground rapper Felipe Coronel, better known by his stage name Immortal Technique, performed this past Friday, Feb. 7, to a sold-out crowd at University of California, Santa Barbara’s The Hub. Immortal Technique appeared courtesy of a co-sponsorship by Associated Students Program Board and the UCSB MultiCultural Center. The event was a delight for hip-hop fans and music lovers alike, as the show featured highly entertaining, fervent performances from all emcees. Not only was the night full of great music, but it was also an enlightening experience; both Immortal Technique and the opening acts dropped a ton of knowledge on those in attendance. The show kicked off with DJ Romes, of the acclaimed rap group Lootpack, spinning some records. He played an array of fast paced hip-hop tracks that got the crowd buzzing in anticipation for the rappers to start. He was also the backing DJ for all of the other rappers during the night. East coast rappers Constant Flow, Poison Pen, and Chino XL were the opening acts, playing short sets of around 15 minutes. They mostly featured those classic underground hip-hop sounds of thumping drums and conscious lyrics riddled with wordplay. Since most of them are from the rap battle scene, they would often kick freestyles between songs, creating a palpable energy. Each emcee stepped up the energy from the preceding artist, and by the time the main act was about to begin, everyone was fired up. Immortal Technique came on to a warm reception. He jokingly questioned the crowd, asking whether they were ready to see him, which got the already energized audience even more thrilled. He was joined onstage by a couple of emcees who did backing lines, serving as hype men. It certainly gave his set that intense group and mob feel. Raul Eulogio, a third-year math major, said he was ecstatic to watch Immortal Technique. “He is one of the realest rappers because he talks about political, racial, and social issues,” said Eulogio. He also said things like, “If you don’t like gay marriage then don’t marry a gay person.” It was captivating to hear him speak his mind; it made his set feel more authentic and less like an album on shuffle. Overall, the set was around an hour long. Immortal Technique’s performance was great to watch; his energy manifested through his rapid movements and powerful words. He closed the night with his most well-known song, “Dance with the Devil,” and the crowd erupted with cheers.